I'll be updating the shop soon with round #2 of my Noel Notions. All of the "kit" type items will be one of a kind so there will not be more like them if they sell out. 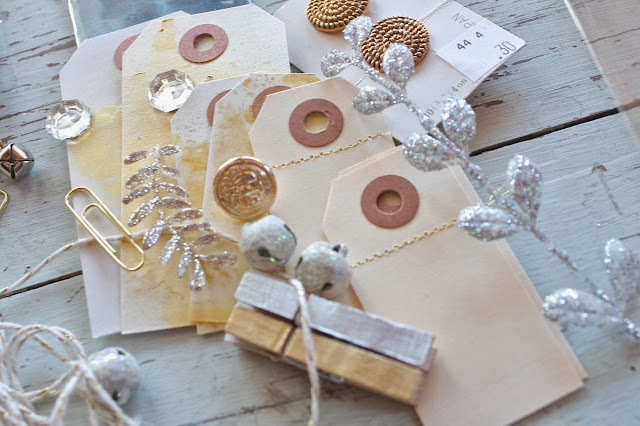 In the shop still, I have Fluffy Snow, Neutral Sequins, Holiday Sequin Mix, Gold Clothespins, Gold Foil Doilies, Gold Shimmer Envelopes, Holiday Clips and Red & White Baker's Twine. These are down to limited quantities. 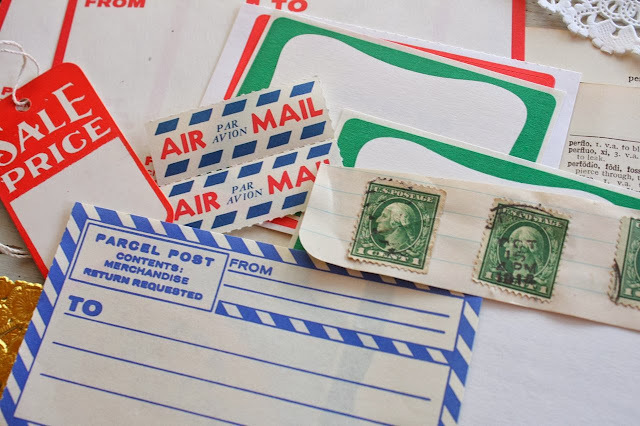 There's also lots of basic shop items like glassine envelopes (perfect for sequins), clear bags, all sorts of tags and labels....plus I have lots of cards and older kits for sale. 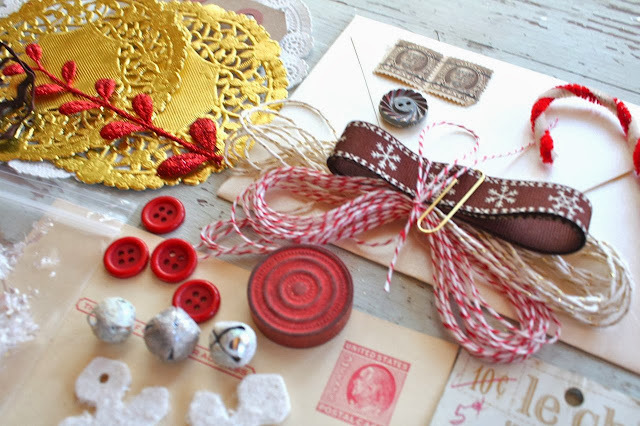 Perfect for Project Life, December Daily albums, cards, gift packaging and tags....or how about that perfect letter to Santa. Sooo pretty when paired with all the gold foil items out this holiday season. This was so popular the first time around and sold out very quickly. 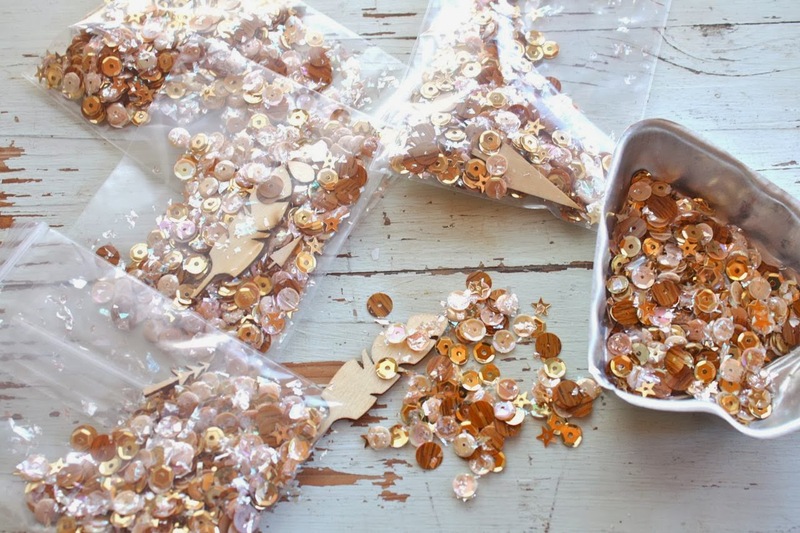 This mixture features woodgrain, flat sequins, gold sequins and stars, beige sequins, fluffy snow and wood veneer pieces. Many customers purchased my Clear Zipper Bags, Rectangle Glassine Envelopes and Rounded Flap Glassine Envelopes to use with the sequin mix. This sequins mix is soft and fluffy and has just the hint of blue-ish snowflakes. 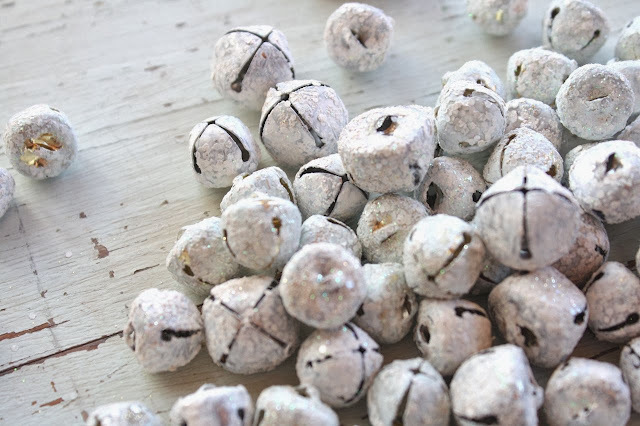 This is fun to sprinkle in Project Life pockets, Daily December albums and I love to use it in confetti pockets for cards and gift packaging. 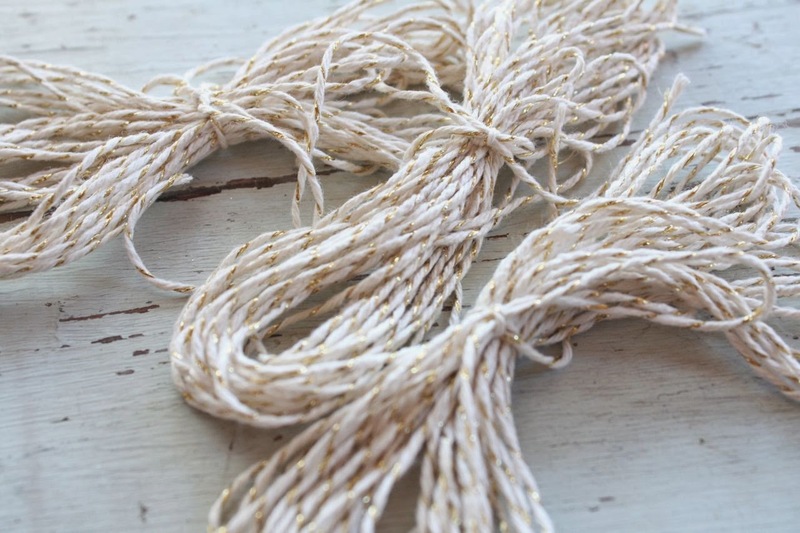 This kit features more gold and silver accents including gold shimmer tags and tags stitched with gold metallic thread. This kit reminds me of items you'd find at Grandma's house. 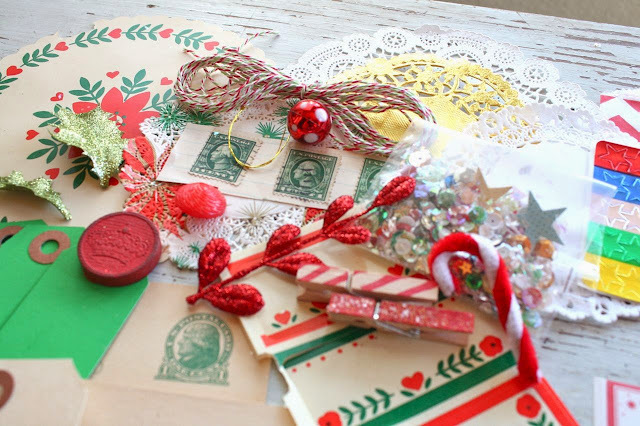 There's vintage paper doilies, a vintage jar topper, old lace and ric rac, clothespins, a polka dot ornament, game piece, sprigs, twine, tinsel, tags, metallic star stickers and more. paired with vintage items like stamps, postcards, vintage button card, lace and more. 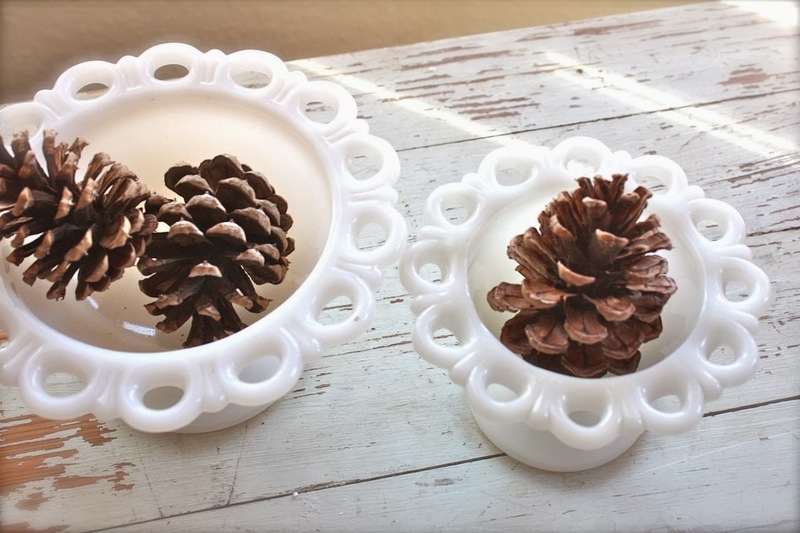 I found a few pieces of pretty milk glass, perfect for storing your holiday stash. 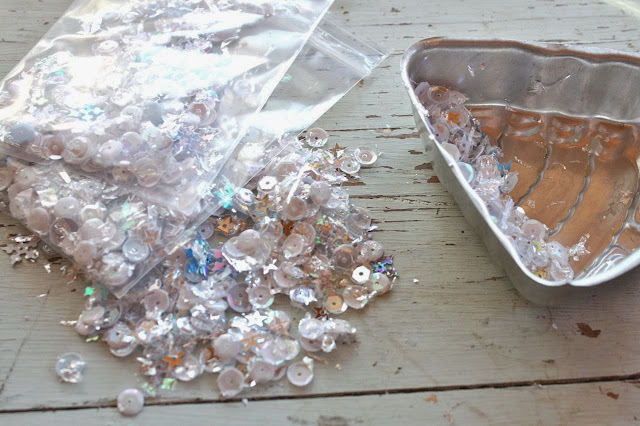 So pretty with to hold your sequin mixes and little holiday baubles. Look for these new items to show up in the shop soon. I'll come back and update this post, my Facebook Page and Twitter when I know a definite time. It will not be tonight as I have a family birthday party to head to here soon. Thanks for stopping by and enjoy the weekend! Received my goodies today Michelle! Thanks for the speedy delivery!! Love shopping with you!! Happy Weekend!! Wow cannot wait to order your new items..I just got your goodies in the mail and I've been sOoOoOo excited since their arrival :) I feel like its Christmas time already! I can't wait to see what you create with all of your amazing kits! Can't wait for more wonderful goodies, my package arrived today and it is just too pretty to open up and play with. I will have to let it sit so I can stare at it for a day to two or three. can't wait to see the finish products!!! Whew ! Got my order in this morning. And let me tell you trying to order on a tiny iPhone screen is tricky LOL But I got everything I wanted except the silver and gold kit. But that's okay. Can't wait till my goodies get here.